Sapphires are the birthstone for the month of September and the zodiac sign Virgo. It is also the gemstone of choice for the 5th and 45th wedding anniversary. One of the four precious gemstones known, the others are Ruby, Diamond and Emerald, Sapphires are most notably blue, but come in other colors as well. Sapphires in ancient times were associated with the ability to see the future. 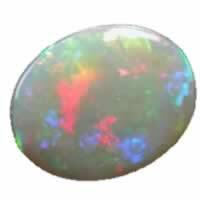 It was believed that the stone brought about clarity in perceiving what the spirit world wanted you to see. As time progressed it was associated with mental clarity and emotional balance. In old world religions sapphires were thought to help a person avoid evil thoughts and deeds. Many spiritual leaders bedecked themselves with the gem to show their spiritual purity. In modern times, sapphires are associated with all the qualities that are found in a good relationship. Loyalty and reliability, faithfulness and sincerity are just a few of the qualities that are related to the blue sapphire. Many men, including Great Britain's Prince William, select a blue sapphire engagement ring as an expression of their deepest feelings for their bride to be. In a long held tradition, it is said the brighter the sapphire shines, the deeper the love felt for each other. Sapphires are formed differently throughout the world. Sapphires from the Kashmir region, the most sought after sapphires in the world, are found in veins of pegmatite. The area has a high concentration of iron and boron, leading gemologist to believe that these additional elements is what gives a Kashmir sapphire its distinct blue color. Sapphires are formed under immense pressure on the earths crust. Compressed into metamorphic rock and combined with elements of the area, the gemstone is then formed. Volcanic activity provides the high temperature needed to finish the gem formation and also, eventually, pushes the gems to the surface. The Sapphire is the second hardest substance known to man. It is only second to the natural diamond. Because of these properties, sapphires that are not jewelery quality are often used in different manufacturing processes due to their strength. Scientists have found a way to replicate the formation of Sapphires in a controlled environment. Synthetic sapphires or lab sapphires are made using a chemical base, high temperatures and extreme pressure. 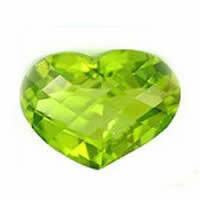 While the stones may be pretty at first glance, they do not compare to the real gemstone in quality. Sapphires are a type of Corundum. Corundum is an Aluminium Oxide. The aluminium, when mixed with other variants in the soil, decides the color of the stone. Sapphire, while found all around the world, comes in many shades of blue depending on the area it was mined from. Other colors of sapphire naturally occur, such as green, orange and even pink. Red stones are not considered sapphires, they are Rubies. Sapphires come from many parts of the world. 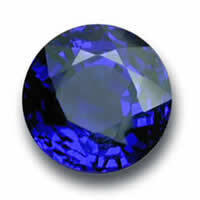 Australia is one of the largest producers of Sapphires as is Madagascar. Thailand, China, Tanzania, Kenya, India and Pakistan all have sapphire mining operations. Myanmar (Burma) and Afghanistan are also large producers of the gemstone. Star sapphires can be found in one area of South Carolina and in Montana. Scattered deposits may be found in other parts of the world, but these are the major producing areas for the gemstone.